Arthritis isn't just Wear and Tear! Arthritis isn’t just Wear and Tear! 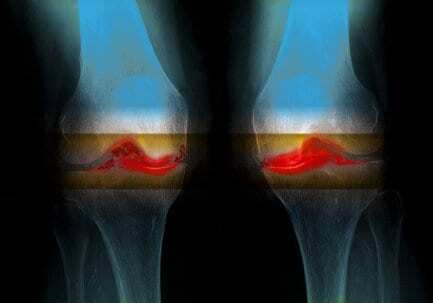 Conventional wisdom is that osteoarthritis of the knee results mostly from wear and tear, which is why, these days, it’s more common among older people and those whose excess body weight puts extra stress on those joints. BUT THAT’S NOT WHAT LATEST EVIDENCE SHOWS! Dr. Richard Loeser, a rheumatologist who directs the Thurston Arthritis Research Center at the University of North Carolina, Chapel Hill, was quoted in this article published by NPR, “Your joints aren’t just like your automobile tires that wear out as you use them,” he says. In fact, exercise helps nutrients diffuse into cartilage in the knee and keep it strong and healthy. If cartilage “is formed and more healthy when you’re younger, then your joints are more likely to be functioning better and have less osteoarthritis when you get older,” Loeser says. And exercise also helps fully grown people. “By strengthening your muscles and by stimulating your cartilage you can still improve the health of your joint,” Loeser says. Read more in the original article HERE. Copyright © 2019 | Saunders Therapy. | All Rights Reserved.